The Samsung has announced to launch its new Galaxy S mobile in the Indian market. The Samsung Galaxy S mobile is is a CDMA mobile and is for the Reliance network which is providing both GSM and CDMA services. The Samsung Galaxy S is most-suitable for the Reliance Company which will be using the mobile for its CDMA service. 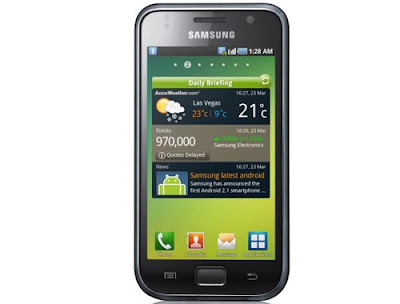 The Samsung Galaxy S CDMA mobile is going to be launched soon in the Indian market. The Samsung Galaxy S price in India will be approx Rs. 27,404. The Samsung Galaxy S is a CDMA mobile and Reliance telecom will be using the mobile for its service. The mobile is having many excellent features and thus the mobile is expected to get good response from the Indian market. The look of the Samsung Galaxy S CDMA mobile is really superb. There are many more features which are really interesting. The mobile model is powered with1GHz processor for its first processing speed. The mobile is having 8GB of internal memory with 16GB mciroSD card capacity which you can extent for your additional use. The mobile supports fast data speed up to 3.1 Mbps which is very essential for downloading as well as for video calling purpose. The battery of the mobile is very nice and thus the backup time of the battery is superb. The mobile is provided with camera with Power LED flash that helps the user to take beautiful snaps. The mobile is enabled with Mobile Office. DivX player is also provided to the mobile. The Samsung Galaxy S CDMA mobile is a unique handset for the Reliance network. 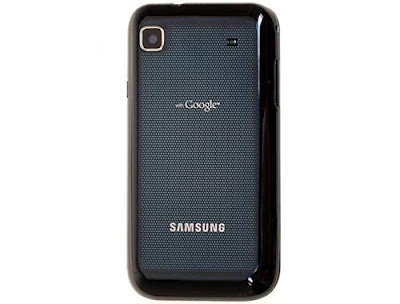 The Samsung Galaxy S CDMA mobile needs operating system of Android v2.1 platform. The 4” multi touch super AMOLED display screen provides better picture quality. The mobile is having 3G facilities and thus many features of the 3G technology can be utilized. The dimension of this model is 125x64.2x9.97 mm. the weigh to the mobile is 118 g. A 5MP camera is also included to the mobile which allows taking nice snaps in many modes. The internal storage of the mobile phone can be expanded from 8GB to 32GB. The mobile also includes Wireless LAN802.11n. The mobile also has 3D sound technology as well as 5.1 channel support. The Samsung Galaxy S CDMA mobile is a very ideal handset for the Reliance network and the customers are eagerly waiting for the particular mobile. The mobile is expected to deliver proper performance.